現時 2017年6月26號 (一) 14:09 900 × 600（283字節） DragonflySixtyseven that's the flag of the former state of South Vietnam. 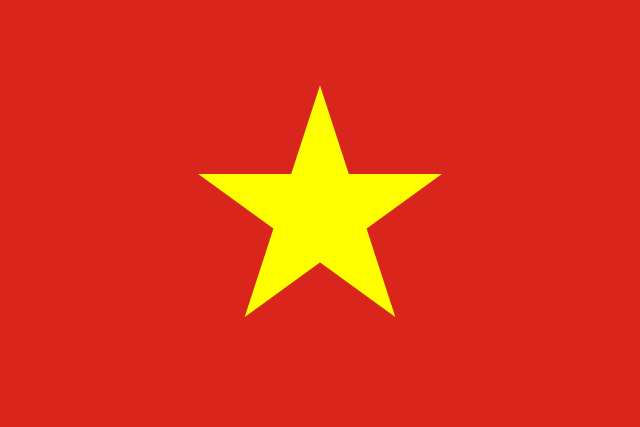 This is the flag of the *current* state of Vietnam. 2017年3月6號 (一) 03:52 900 × 600（511字節） Zscout370 Reverted to version as of 14:11, 19 May 2012 (UTC) the 1992 regulations supercede the 1977 standard I found (I was wrong). Going to correct size, but keeping the smaller code.